So this is the original rudder. The boats are launched stern first down the the steep beach and the rudder is fitted once afloat hence the long lower pintle to help locate above the waterline. This can be quite difficult in anything other than a calm sea! The rudder is also really heavy. I have been thinking about a replacement which is lighter with the ability to be raised on the pintles for launching and recovery. The bottom pintle is 18inches long and I was thinking if the top rudder pintle was longer it could be raised and locked into place with a simple system on the rear deck? Spent all last year working on the boat. Exterior of hull stripped to bare wood and varnished. 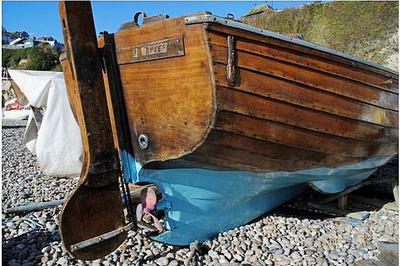 Bilge keels extended to protect the hull from the beach and stainless keel and bilge shoeing replaced. While removing the name board from the stern I discovered the original name carved in the transom. 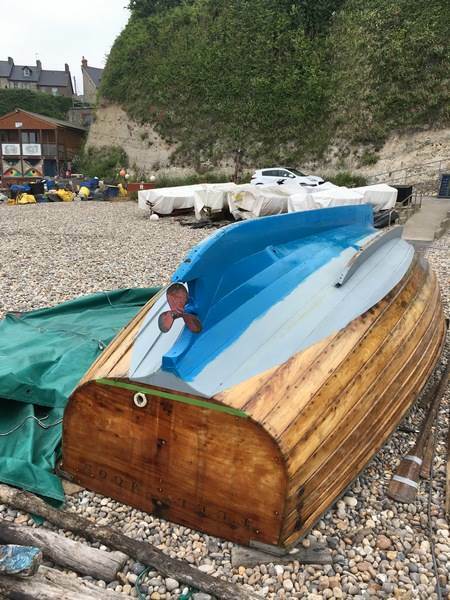 "Fullmoon"
New(secondhand)Beta 16hp sourced from another local boat has been fitted and running like a dream. 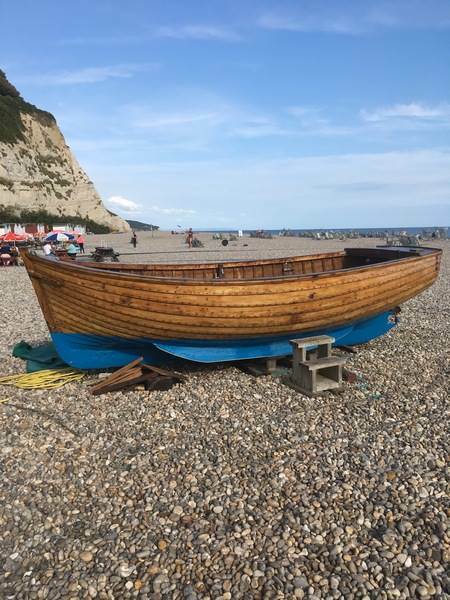 The summer last year was exceptionally hot with all the wooden boats drying out out. She had not been in salt water for three years so prior to the new engine going in I sunk her in the bay a couple of times! Interior needs scraping and varnishing but she will be in the water in April. Your idea of the longer upper pintle sounds good. 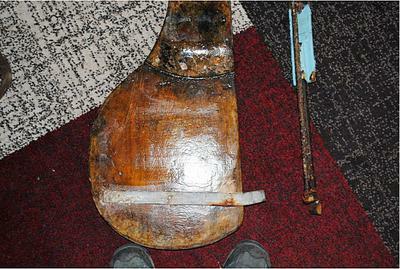 The weight of the original rudder is probably what helps keep it down when the boat is afloat. Might it help to locate if the top gudgeon was higher, as in the Yorkshire Cobbles? Are there any class rules regarding the rudder? Could it be made with a ‘kick up’ blade?